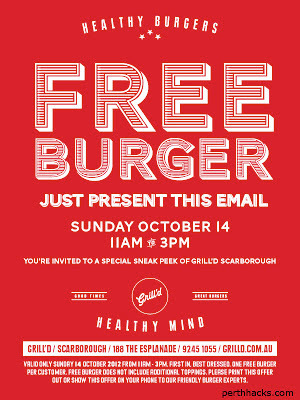 Grilld has just sent us an invitation to the opening of their new Scarborough Beach store at 188 The Esplanade, Scarborough which is just a stone's throw from The Wild Fig Cafe. The exciting thing is that they have said you can come along as well and get a free burger from 11am-3pm by printing out and presenting the voucher below. Please note that this is only valid on this Sunday 14th October 2012! 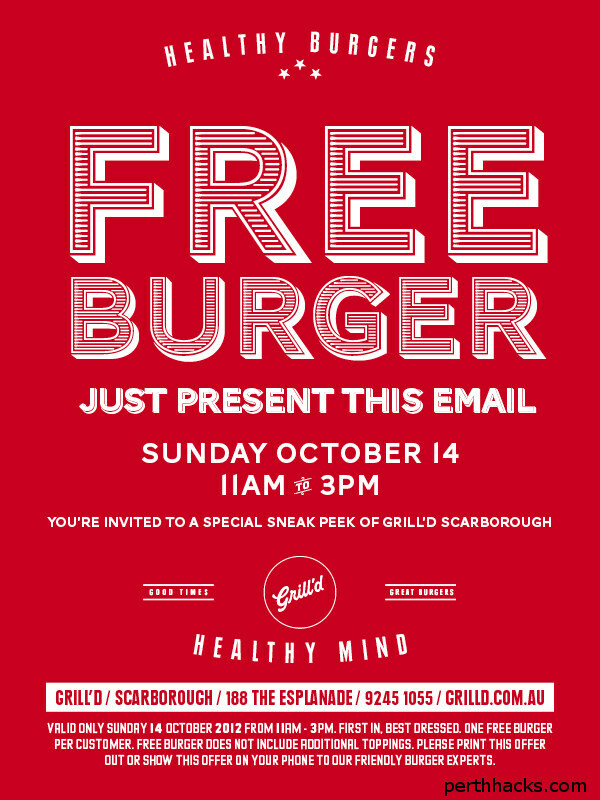 If you do end up going, send out a tweet to @GrilldBurgers to thank them for their generosity and share your thoughts about the place. Who knows, you may spot a fellow PerthHacker tweeting from the store. Feel free to let your friends know as well. With summer coming around the corner, looks like Grilld has given one more reason to head up the West Coast Highway for dinner by the beach.